Image & Form Games has announced that SteamWorld Dig 2 is coming to PS Vita and PS4 later this month. The sequel to the award-winning SteamWorld Dig will be available on September 26, 2017 in North America and in Europe on September 27 via the PlayStation Store for $19.99 / €19.99 / £14.99 featuring cross-buy support. Rusty has disappeared. In SteamWorld Dig 2, Dorothy McCrank is here to fill his boots. 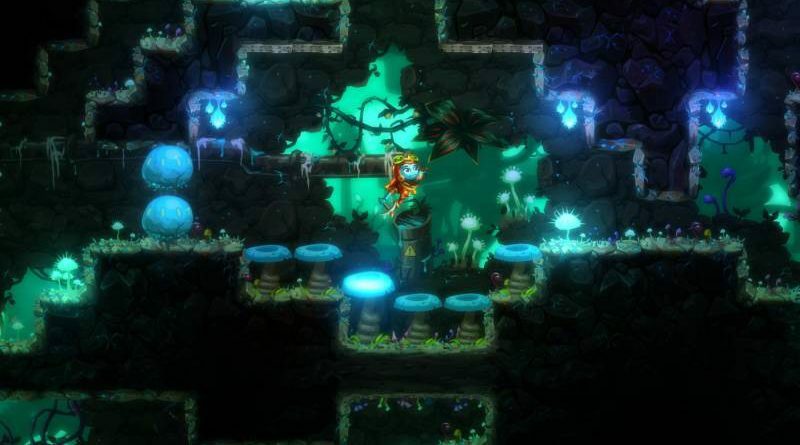 She’s gone from a sidelined sidekick in the original SteamWorld Dig to an awesome hero able to save the day. It’s up to Dorothy to accept the challenge and embark on an epic underground adventure. The upgrades played a big role in the original Dig. This time they’re bigger, better and and will take you to places you’ve never been before. Besides carving your way through the earth with your trusty pickaxe, you will literally fly through caves with the Jet Engine and grab faraway treasure with the new Hookshot. Expect even more awesome gear as the game progresses. El Huervo of Hotline Miami fame is composing the game’s soundtrack. It’s got a new vibe compared to previous SteamWorld soundtracks and we think you’re gonna dig it!